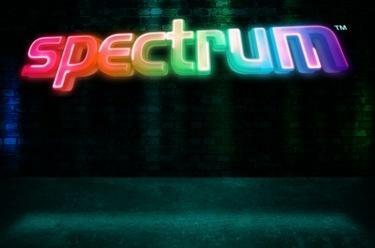 Play Spectrum™ online for free now! You like classic fruit slots but also fancy variants with a more modern design? In this case Spectrum™ is just the game for you! 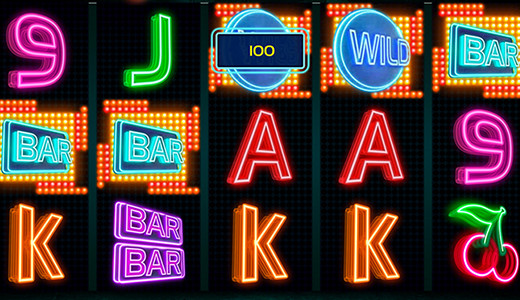 The background of this slot is discreetly black to enhance the symbols that shine in all the colours of the rainbow. Spectrum™ also captivates due to its 243 winning opportunities and the Reel-Locking-Feature that brings you two reels with matching symbols with every spin. What more does a player heart want! 3 to 5 matching symbols on 5 reels: That's all you need in Spectrum™ to bag a colourful win! There are no fixed pay lines in this slot. If you manage to land 3 matching symbols you have practically won - the first symbol just has to appear on the very left of the first reel and the others have to follow on the subsequent reels (e.g. cherry on reels 1, 2 and 3, no matter in which position). The WILD symbol gives you a helping hand on your winning mission because it can substitute for all other symbols and increase your winning chances! 2 reels that show identical symbols will be selected randomly in each spin. During the spin additional reels that are located right next to these two reels can show the same symbols. That way your chances for right combos increase!